Any AI definition should include things like predictive analytics, according to some users, even though those practices are straightforward and have been around for decades. The debate over how to define AI and establish what gets classified as AI has been ongoing for the last couple years as AI has reemerged as a practical enterprise tool. The concern is that, as interest in AI spikes, vendors will attach the moniker to any and all products to try to ride the AI hype train, muddying the waters of what real AI looks like along the way. But some users are unconcerned with the distinction between AI and analytics. In this edition of the Talking Data podcast, we take a look back at recent interviews and conference presentations from the AI World Conference and Expo in Boston at which end users expressed their thoughts on the differences between AI and analytics. In some cases, AI tools are being built around predictive analytics methods that have been around for decades or longer. Many learning algorithms rely on statistical approaches to understand probability and then make a prediction. These basic ideas underpin everything from machine translation to image recognition, but they're hardly new. It turns out users are often more concerned with how a prediction is deployed rather than the technology that creates the prediction. When predictive analytics models and machine learning algorithms are deployed in intelligent ways, fairly simple things can satisfy many people's requirements for calling something AI. 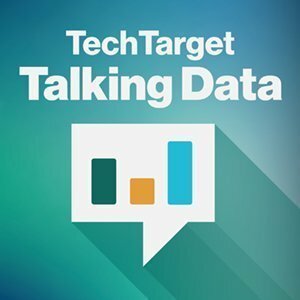 Listen to this podcast to hear more about how enterprises are using machine learning and predictive analytics to build toward AI. Do you see any distinction between AI and analytics? Analytics are largely an after-the-fact, or at least, during-the-fact process. AI, artificial intelligence, includes many features that are not part of analytics at all such as vision, natural language understanding and generation, etc. For example, AI in the purest sense operates as an agent that perceives its environment and acts. Analytics are more passive. However, most activity called AI in commercial operations is really "augmented" intelligence. The computational algorithms of AI include much of what has gone before in statistics and predictive analytics, but the application is, as said above, quite a bit different.